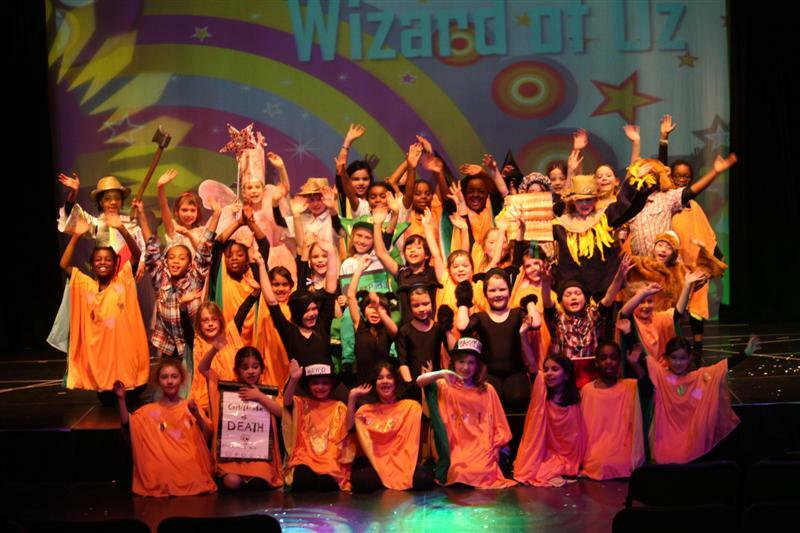 Year 3 staged a fabulous performance of their own version of the Wizard of Oz in the school’s Westwood Theatre, including their own Monkey Song, written by them during literacy. The girls were able to display their wonderful singing and acting and they enjoyed performing in a real theatre with a stunning set, backdrops and amazing costumes. The Munchkin costumes transformed on stage to reveal variously; a human yellow brick road, monkeys and the people of Oz. The wizard, iwth his ‘OzPad 3′ set the audience alight with laughter and gave a modern day twist to this classic novel.